Ekwa Msangi has written and directed several short films, most recently the award-winning comedy Soko Sonko (The Market King), recipient of the Ousmane Sembene Short Film Development award, which she used to produce her newly released short film Farewell Meu Amor. She is currently in development on the feature-length sequel Farewell Amor and received the Jerome Foundation Grant and Tribeca All Access Fellowship to that end. Ekwa has also written and directed several drama series for mainstream broadcasters in Kenya and MNET South Africa. She has been an adjunct faculty member at New York University’s Tisch School of the Arts, as well as a regular mentor in Mira Nair’s East Africa based Maisha Screenwriting Labs. 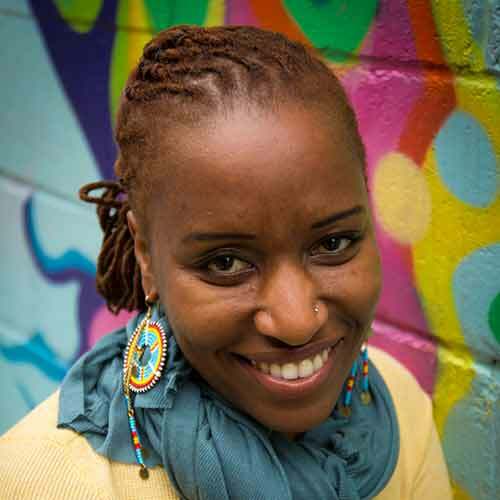 Ekwa is currently the resident educational instructor with the New York African Film Festival and teaches screenwriting at The New School and the Feirstein Graduate School of Cinema, Brooklyn College. Ekwa’s first web-series, All My Friends Are Married, launched to rave reviews, and she is in development on her first feature documentary and her award-winning podcast African Cinema NOW! Ekwa is a 2018 Tribeca All Access fellow, and her project Farewell Amor was selected for Cine Qua Non Lab’s 2018 Script Revision Lab as part of this year’s partnership between Cine Qua Non Lab and the Tribeca Film Institute. Farewell Amor — After 17 years of exile and immigration issues, Walter is finally reunited with his wife and daughter in the United States, and now the question becomes: how will they bridge the vast emotional distance that has formed amongst them?